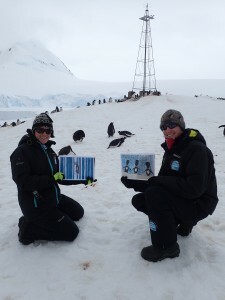 Would you like to help celebrate Antarctic Day 2016 and decorate Antarctica? Participate in Antarctic Day Flag Celebration sponsored by UK Polar Network, APECS, and Our Spaces. As part of this initiative, individuals, schools and classrooms are invited to participate in the festivities by sending their renditions of an Antarctic flag the sponsoring organizations. The images will then hitch a ride all the way to Antarctica, and you will receive a proof of travel with a certificate and photos of the journey!